I could definitely be down to live on that island! So pretty! Especially with all of the great riding fields... I thought it was pretty funny when everyone was so impressed with Marcus. Especially because Zoe jumps that height and she's supposed to be a brand-new rider as opposed to Marcus who is a trainer. Even with its flaws, it was pretty binge-worthy though! I watch this show bc of my two daughters who LOVE horses and I was really annoyed by Zoe. She basically stole Mia's horse and acted victimized by Mia like Mia was the bad guy. 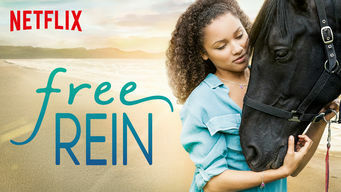 This girl (Zoe) shows up, all but steals Mia's horse AND boyfriend even though she doesn't really want him, and butts her nose into the stable's business, wrongly accusing Pin of stealing horses, like she's the director and due some answers. She had been there for a week or so at that point. Like, who even ARE you Zoe? Does she even pay for the lessons she's receiving? Her mom didnt know she was riding so who paid for these lessons on this horse that isn't even hers? She was also very self centered and didn't listen. She rode Raven against her trainer's recommendation and yells at the horse like it was the horse's fault after he threw her. She is a very entitled feeling little girl and I don't like her character at all. She basically DOES take everything from Mia. 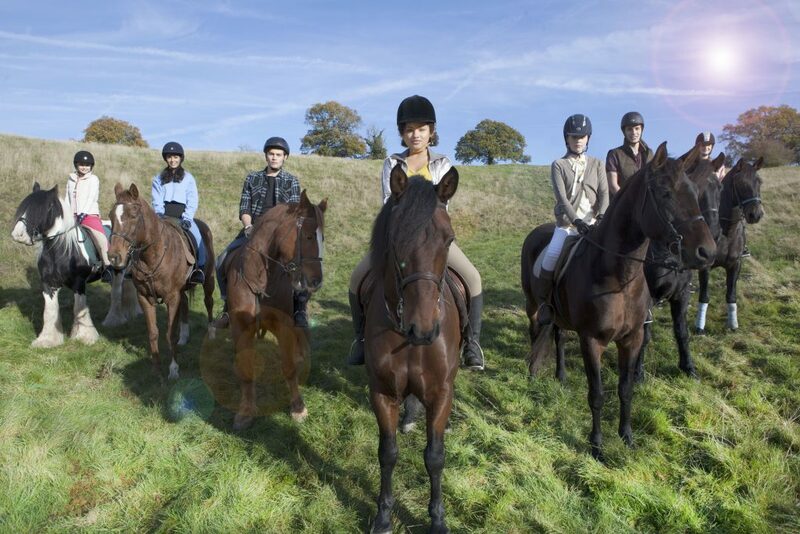 In my opinion, Mia was nicer than I would have been because she continued to let Zoe ride her horse everyday and pretend like it was her's. Zoe is not a likeable character for me. I totally agree with this. While she improved over time, she always acts uneccessarily rude and jumps to conclusions every time. Although there are so much good values in this show, as it is directed towards kids, I don't think Zoe serves as a good role model. She is exceptionally good, okay, but does that excuse bad behaviour? No. Zoe really is just the worst. This show is just amazing i watched the whole second season in 1 late night, already waiting for season 3. Season 2 came out and the kids and I just binged it. The new "know it all" trainer asks Zoe what breed Raven is.... and then gets all condescending and tells her he's a Kiger Mustang. I am not a huge horse person, but have spent my fair share of time around draft horses, and a friend with Friesians. AND the trailer in the last episode of season one says Friesian on it. Not sure why this bothers me so much... but it absolutely does. Raven looks to be friesian in reality, but 1994 black beauty went from friesian, to quarter horse and a few others as I seem to recall lol! What really bothers me is the woman in the last episode says Ravens dam (technical term for mother) was this fancy racehorse and Zoe when she said he was an expensive racehorse, the woman didn't say "actually he's a cross", instead saying he needs a trainer, insinuating Zoe had to train him for racing! But then within the 1st episode he becomes a mustang!! Now in the UK a racehorse is a pure thoroughbred (you can get away with something like 1/14th of another breed, but after that many generations back crossed to tb's you are unlikely to spot what that cross was back in its great great great.... .Parents)! Now if he's meant to be a TB mustang cross then there are still some big questions! A top class racehorse will be used to try and breed more top class racers. Now a top Tb stallion might be able to cover racing, sport and happy hacker mares in the same year. BUT a mares breeding life is a very precious and valuable thing if you have such a great mare and while embryo transfer gives the ability to have a handful of foals from a mare each year, it is usually reserved to breed hopefully more top quality valuable horses due to it being expensive! So it's unlikely a mare supposedly that good would be crossed naturally or via surrogate with anything other than another top quality racehorse! In the slim chance they had been trying to make a sport horse I can't imagine why they would have used a mustang when they aren't known for their Olympic grade dressage/jumping/evening abilities and owning a racer that good would give them plenty of money to use a good, if not great sport horse stallion! I also doubt it was an accident, partly because a wining mare is unlikely to be kept in fields with easy to clear fences and there aren't exactly a large amount of mustangs in the UK and I can't imagine there would be one kept on the same yard or neighboring yards as high class racing mares lol! I also don't believe a girl that adores her horse wouldn't have taken a second look at his passport which will have shown his breed! I can over look things like every gawking at Pins position when he's slumped like a sack of potatos, the numnahs/saddle pads in the tack room being immaculate (actually that made me laugh lol), hell I can even let it slide when they use the wrong breed for the script (although it is a little harder to forgive with shows/films aimed directly at horsey people that are likely to notice), BUT to have the on screen breed change within the space of 2 episodes is ridiculous, especially when it's put on a platform were most people will watch through first season again before starting 2nd, so will notice this instantly!! Honestly I don't get why they bothered! Was it to show incompetence of the trainer? If so it wasn't clear! Maybe it was so American audiences could relate more, or because she is an American in UK, so they needed to make him and American breed too?! Or was it because they thought the only 3 breeds non horsey people know of are the 3 he listed, Tb, quarter horse and mustang! They'd have been better saying he was quarter horse given their American racing lines and all round abilities, or better yet, just call him by his real life breed so all the horsey girls and few boys could applaud them for not trying to pass off a cow as a dog lol! I got here after posting about this on the Facebook page. WHY LIE? Why say ANY Mustang is 17 hands high? My theory is somebody looked at a list of breeds and thought Kiger Mustang was the coolest, and was willing to imply, as you noted, that no characters could read, or didn’t bother. To say nothing of ALL the writers and show runners having SMARTPHONES IN THEIR POCKETS. WITH PICTURES. LOL. In the end this is about having zero respect for their audience. BLECH. No, it bothered me too. The first season it was implied he was a friesian. Now all of a sudden he's a Kiger mustang? Confusing. I have not watched this series yet but heard about from my cable providers actually one of my friend works there and they watch a lot of shows so he recommended me this. Does anyone know what the breed of Raven is? No he is not a Kiger Mustang. They say he is but Kigers are Duns with tiger stripping on the legs and a dorsal stripe as well. They can also be black, as you can't get dun and grulla without the black base. A dun is simply a black horse with agouti and dun gene and a grulla is a black horse with a dun gene. Raven is a Friesian horse. What type of horse breed is raven? What type of horse breed is raven.? I like the show as well. It's in the tradition of Black Beauty and Black Velvet. Girl meets horse and falls in love. 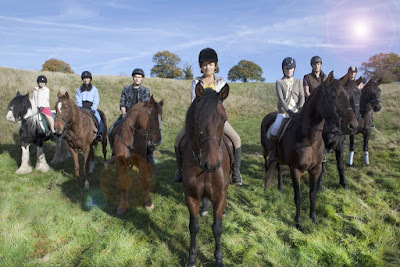 However, as a YA program they show only a small picture of the downside of horse breeding and the equestrian world. The reason they allowed Zoe to ride Raven was because he was on borrowed time. Pin says so in first episode. He couldn't be tamed. Sure we would all like to believe every beautiful horse has a happy ending, but if Mia's father couldn't make money off him. Raven would have been sold. Since he was sold illegally, without papers backing up his lineage. This did not bode well for him. 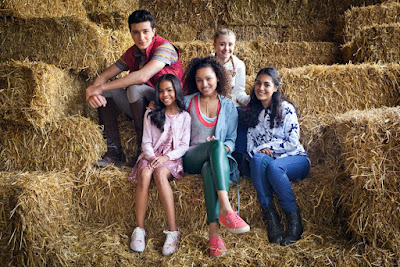 They used Zoe to tame the horse, most likely with Mia's father permission since he legally owns Mia's horses. 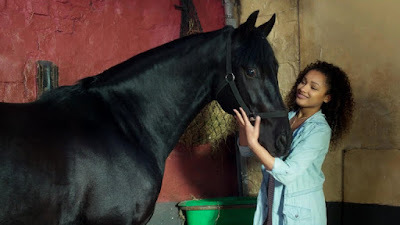 What type of horse is Raven in real life? It's a cute show.....but soooooo unrealistic. The lead character is perhaps the worst actress I've ever encountered. As a life long horse owner/rider....I agree with others....when referencing the harsh tack and situations/treatment of the horses. I wouldn't want any of my children looking up to Jayden whatever her name is (Zoe) in a real life, role model situation.....not everything revolves around race....we don't need ANY more people like that.... there's already more than enough. I'm curious, what does race have to do with anything in the show. It's never brought up. None of the situations involve it, so what "race" are you speaking of? All the craziness surrounding the discrepancies and contradictions on what type of horse Raven is aside, I was hoping they would redeem Zoe's character a little this season, but they did not. She is just as annoying, self righteous, and aggravating as she was in the first season. The nerve of her to tell Gabby to stay away from HER horse, and give some big self righteous speech on beinh herself and not wanting what other people have is almost infuriating considering she did the exact same thing to Mia. 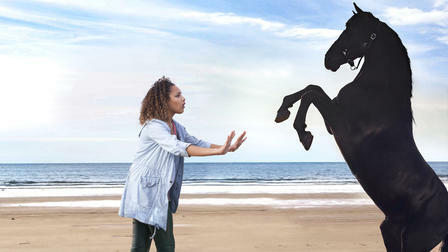 It's STILL wrong too because Raven STILL isn't her horse! I kind of wanted Pin and Marcus to dump her. My husband didn't want our girls watching that show anymore after seeing Zoevs character after an episode or two, because he felt like Zoe was not the best example to be set for our young girls. I agree with him. Zoe is kind of the worst. It moreover improves your safety. then again, preceding choosing and introducing your preferred fashion, it's far vital that you consider elements, for example, the highlights of the object, capacity to anchor a territory, price of status quo, and support here latest blog find more.